Zander Cannon chats with Kyle about his new comic Kaijumax. 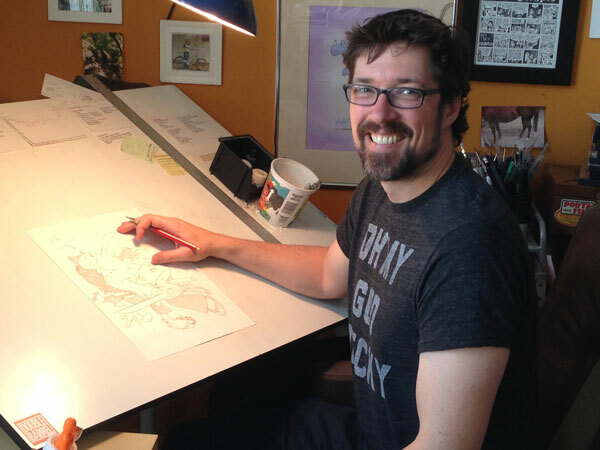 Check it out, our first bonus episode of 2015 and we are talking with comic book creator Zander Cannon about his upcoming six issue mini-series from Oni Press called Kaijumax. Kaijumax is a prison drama set on a Monsterland-like island and it explores the kaiju who are incarcerated there and what happens in the prison. Zander discusses the details of the first issue and where he sees the series going over the next five. There are so many nods to classic tokusatsu from a literal iteration of Gojira to the Ultraman-esque warden, there’s enough fan service to keep kaiju fans thoroughly entertained but everything revolves around these massive monsters as characters. His cast is engaging, irreverent and the book is simply a great read. Make sure to check out the links below for ordering info – because Oni Press is a medium sized publisher, your comic book shop may not order the book without you preordering it! Read the first seven pages here! 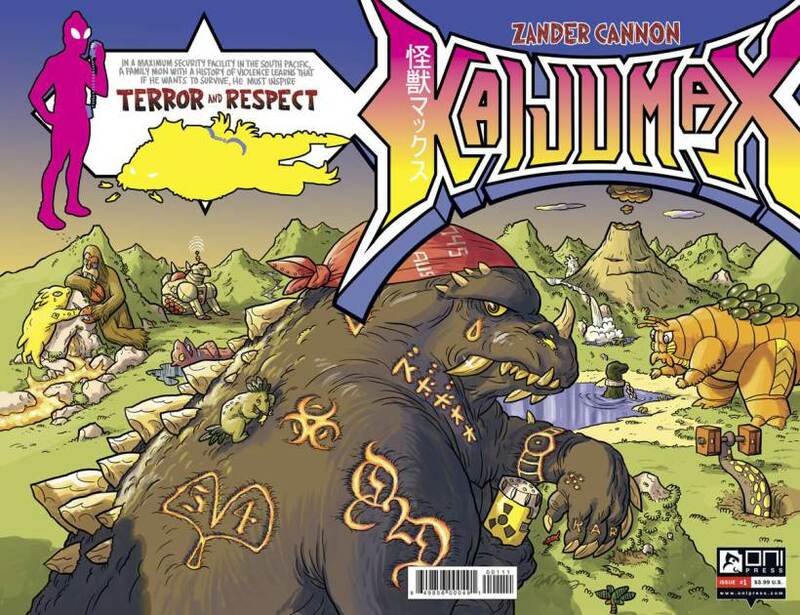 Issue #1 of Kaijumax by Zander Cannon from Oni Press, available on April 8th.